Clement Hodgkinson's book, Australia from Port Macquarie to Morton Bay, is one of the great adventure travel books of the 19th century. 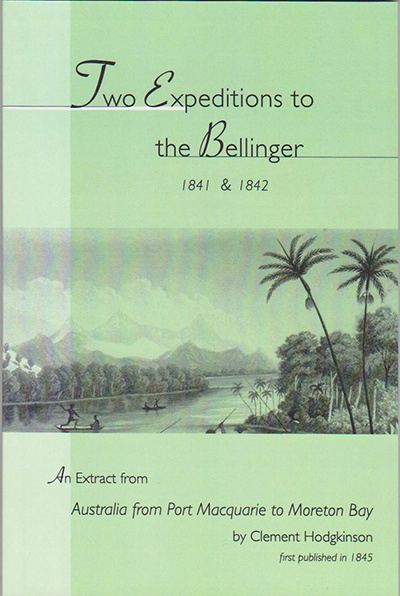 With scientific training to match his youthful intrepidity, the author explored the uncharted wilderness of the coast and the Macleay, Nambucca and Bellingen rivers in the mid-north NSW. Part 1 of his fascinating, beautifully written and illustrated book is reproduced here. It vividly documents his journeys and discoveries in the Bellingen Area and will fascinate anyone with and interest in the history of NSW.